Goodreads Summary: Sloane isn't expecting to fall in with a group of friends when she moves from New York to Florida—especially not a group of friends so intense, so in love, so all-consuming. Yet that's exactly what happens. First Thought After Finishing: Did I just read my biography? 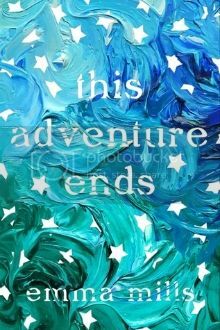 This Adventure Ends had a lot of things in the premise that I loved. 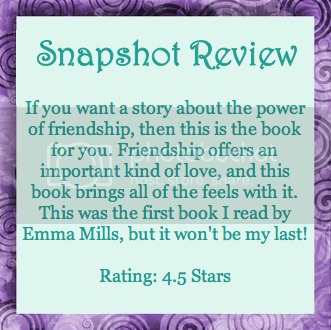 It’s a book about friendship, there’s a road trip, and it promised witty dialogue. And this book delivered on everything. Just before her senior year, Sloane’s family moves from New York to a small town in Florida. Her father, a romance author, needs inspiration for a new book, but to Sloane, it’s just a new city to attend high school until she can go to college. She misses her voice teacher in New York, but little else. She never expected to start putting down roots in Florida, but that was before she met Vera, Gabe, Remy, and Frank. This group of friends has a closeness that she’s never had before, and she can’t help but begin to open up to them. Her search for a painting by the Vera and Gabe’s mother takes her around the East Coast, but really, she is on a journey to discover who she is and who she wants to be. This book hit close to home. Before Vera, Sloane was mostly a loner. She reads, she sings, she does not lead an exciting life. But one invitation to a party—and a social butterfly named Vera—change all of that. Suddenly Sloane has a circle of friends, ones whom she would do anything for. She also has a crush, even though she doesn’t want to admit it. I loved, loved, loved this circle of friends. They had some issues, yes, but they also supported each other and had so much fun. And even though there were relationships, they were not the main focus. Sloane’s wit is so similar to mine, and it was sometimes fun, sometimes alarming to see it on the page. I enjoyed seeing how she showed her friends that she cared. Vera is the kind of friend that everyone wants to have (and I am lucky enough to have a friend like her). Vera brings out the best in everyone and just generally makes you feel happy. Remy is proof that it is possible to have a great guy friend, and I wanted to see him find his happy ending too. Frank is someone I wished I would have known in high school. And finally Gabe conjured old memories—it’s likely that everyone has a Gabe in their past. This book definitely has dynamic characters who will make you celebrate your own friends. "I think about that kind of love as we increase in altitude. How maybe it doesn’t just stand for romance—maybe it works for friendship, too. Maybe there’s a kind of friend love that opens you up—maybe you didn’t have a place for it within you before, but once it finds you out, crawls inside, and makes space for itself, you can’t live without it ever again." Most Memorable Aspect: I’m going to remember this book as the first one where I didn’t just relate to the main character—I felt like I WAS the main character.